The 7 Day Naturopathic Detox Program is a proven patient-tested food-based cleanse that has now changed the health of hundreds of people. You will learn how to reduce and remove inflammation producing foods from your diet, how to support your body in it's healing process through the week, how to improve your digestion, your sleep, your energy and boost your immune system... and all the while nourishing your cells and tissues with the nutrition you need to truly create health and vitality in your body. Immediate access to course materials and a week of emails to help you follow along during that first week. 5 short video lessons from Dr. Laura. 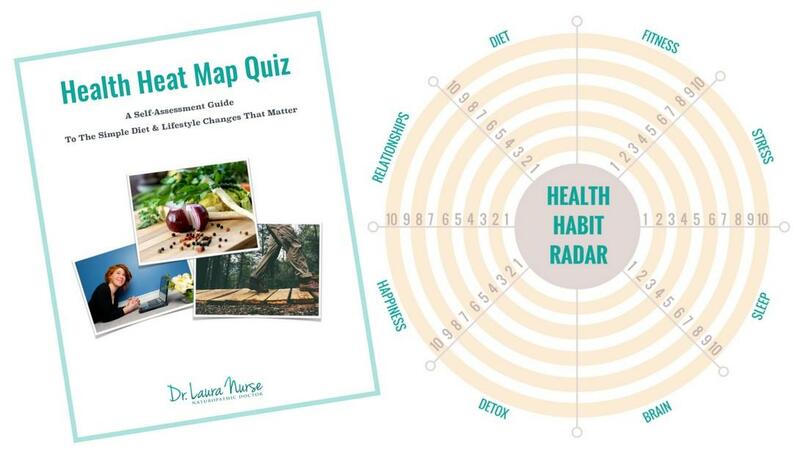 Your downloadable Detox Workbook with checklists and instructions for the week. Example meal plans, grocery lists, and recipes to get you started quickly and easily. Note you will have to customize your own meal plan for this detox. Access to the program as it grows and develops for 1 year from your initial purchase date. I know everyone is different and you’ve probably purchased products that weren’t like anything they were promised to be. That’s why this course (and all my courses) come with a no questions asked 30-day money back guarantee. If it’s not for you, I’d rather refund you right away and maintain a great relationship! So you really have nothing to lose. This program will teach you how to do a food-only health detox from home in 7 days. Start anytime.